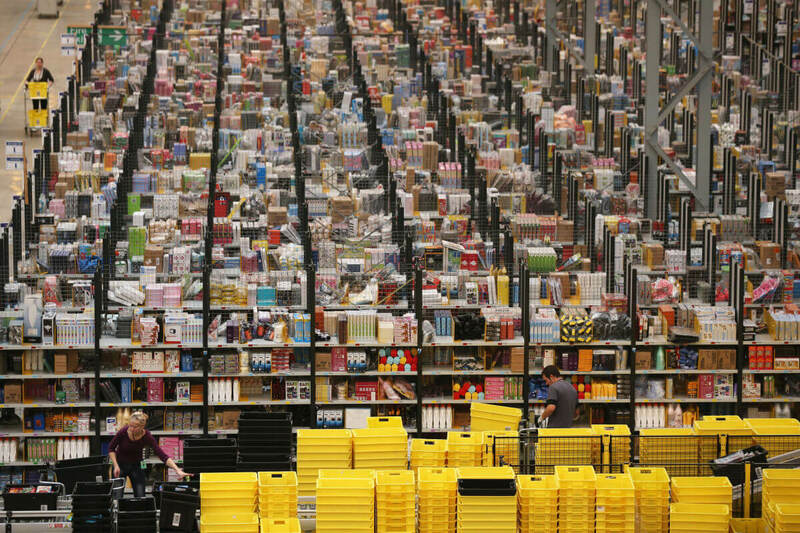 Amazon on Thursday said it plans to create 100,000 full-time, full-benefit jobs in the US over the next 18 months. With more than 180,000 employees on the payroll at the end of 2016, Amazon is already one of the country’s largest employers. The influx of new hires, many of which will work in new fulfillment centers currently under construction in California, Florida, New Jersey and Texas, will push its total US-based workforce to over 280,000 by mid-2018. Amazon said the job opportunities will be for people with all types of education, experience and skill levels – from software developers and engineers to individuals seeking entry-level positions and those looking for on-the-job training. In a prepared statement, Amazon CEO Jeff Bezos said innovation is one of their guiding principles and has created hundreds of thousands of American jobs. The jobs are not just in their Seattle headquarters or in Silicon Valley, he added, they’re in the customer service network, fulfillment centers and other facilities in local communities throughout the country. As Reuters notes, the move makes Amazon the latest company to tout US job creation since Donald Trump won the presidential election back in November. Earlier this month, Ford Motor Co. scrapped plans to build a production facility in Mexico, instead opting to add some 700 jobs in Michigan.